The Leader Who Rules Chaos, Rules the Realms . . .
Two years ago Loki, god of mischief and chaos, destroyed a large chunk of Chicago's financial district and then vanished into thin air. He still has not been found. Odin, ruler of the Nine Realms, is desperate. To find Loki, he sends his son Thor on a dangerous quest to consult the all-seeing Norns. But Thor needs humanity's help . . .
Loki's former lover, veterinarian Amy Lewis, is carrying all of Loki's memories-but missing some of her own. Hoping to keep Loki from Odin's machinations, she agrees to help Thor on his journey. 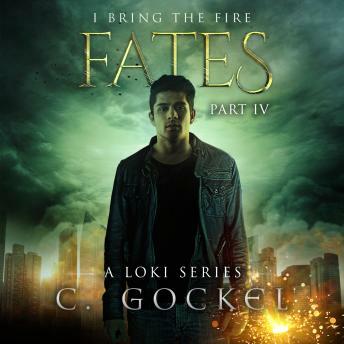 Bohdi Patel's memory was wiped by Loki's mischief. He thinks that Amy and Thor are both crazy to want anything to do with Loki. But he needs to find his parents, and he's been told that the Norns will answer any question-for a price. When chaos is the goal, only one thing is certain: Amy and Bohdi are about to get into worlds of mischief.